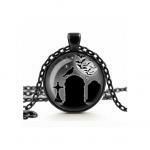 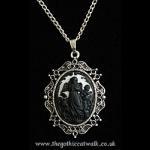 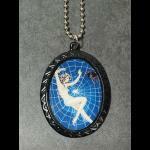 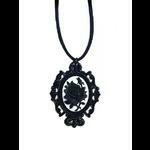 A beautiful and unusual heart shaped gothic necklace with a black skull cameo at its centre. 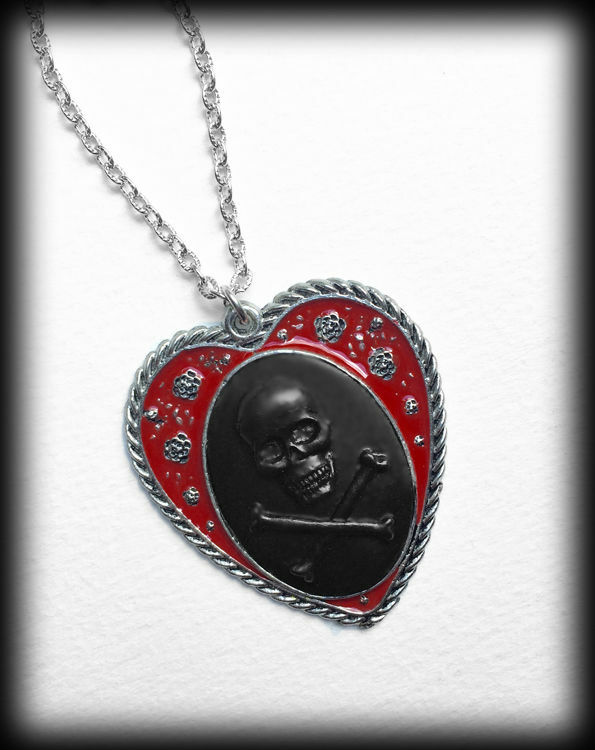 The cameo is surrounded by red enamel in which tiny little silver roses have been set. 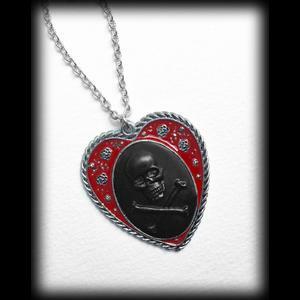 The heart is edged with a rope effect cast in silver tone metal. 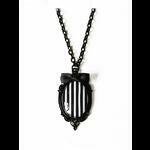 Comes with an 18" (45cm) chain and a black organza presentation pouch.